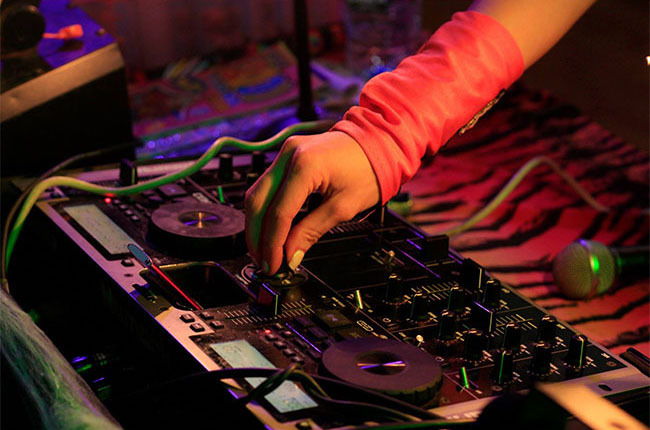 Our unique Dancing Disco packages are our speciality and what we have become renowned for. However we also have years of experience working with different briefs and themes to create a fun and memorable experience for a wide range of clients. If you are looking for a bespoke party or event make sure you get in touch! 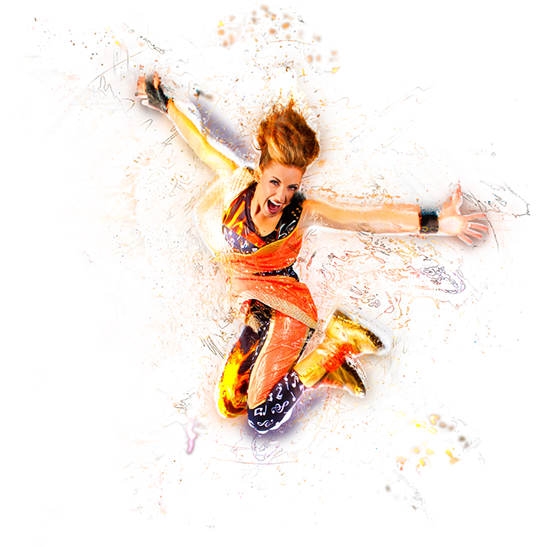 A Funky Chicks Dancing Disco Party is action packed full of dancing, games and competitions! The Chicks perform dance routines and get everyone to follow the moves and involved in the fun! There is loads of dressing up, lots of prizes to win and the children also get their hair sprayed with different colours and glitter. 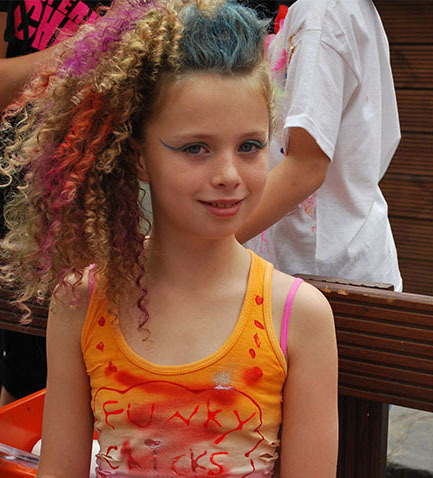 Games and competitions include Funky Statues, a Rockstar Competition, a Funky Fashion show and Freestyle Competitions! All of this happens to the latest chart tracks and a selection of the birthday girl/boy’s favourite music too! All the Chicks have great experience at tailoring each party to the needs and wants of the age group in front of them. Dancing Disco is also available for teens! 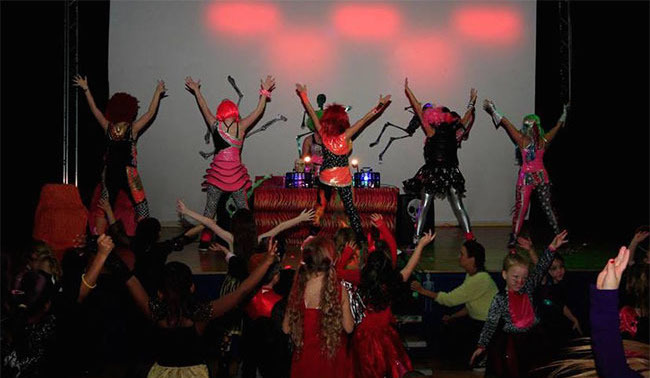 The Popstars and Rockstars theme takes our dancing disco vibe to the Extreme! 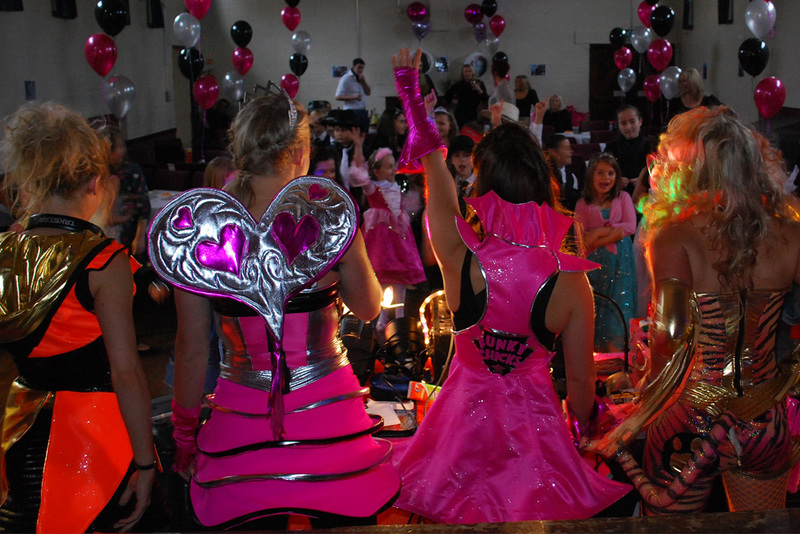 We encourage your guests to come dressed as their favourite superstar and games and competitions throughout the party will evolve around being extravagant, outrageous and partying like a star! 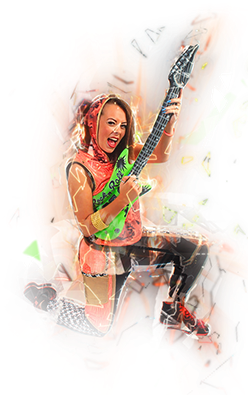 Games and competitions include: A Rockstar Competition, Funky Wannabes, Popstar Parade (Funky Fashion Show), PopRock Statues and much more! 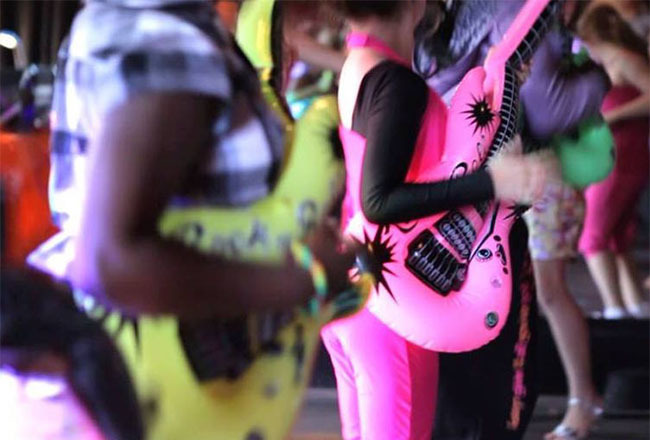 Dance with the chicks to all your favourite tracks like you’re rocking out in a music video on MTV! These are the perfect themes for a mixed group of younger children. 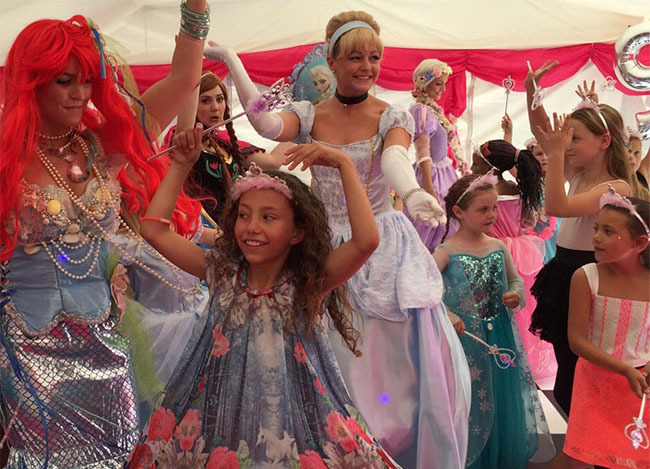 Dress as your favourite Princess, Superhero or a Pirate and party Dancing Disco style with your chosen theme incorporated into all elements of the party. 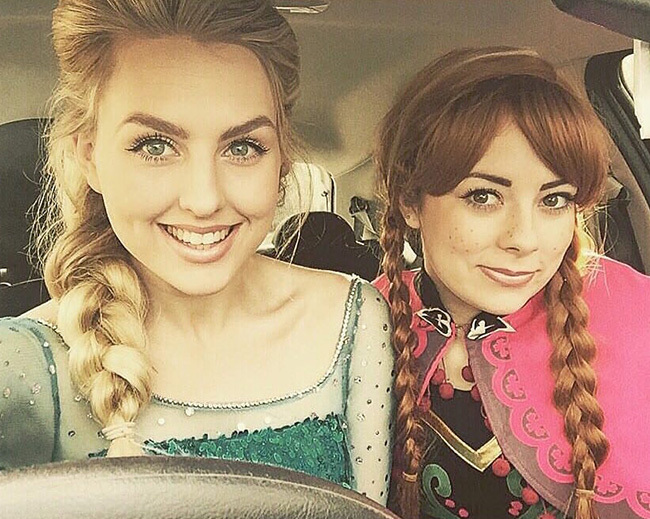 See your favourite Disney Princesses GET FUNKY like you have never seen them before! Invite them to party with you and your friends at your Dancing Disco! 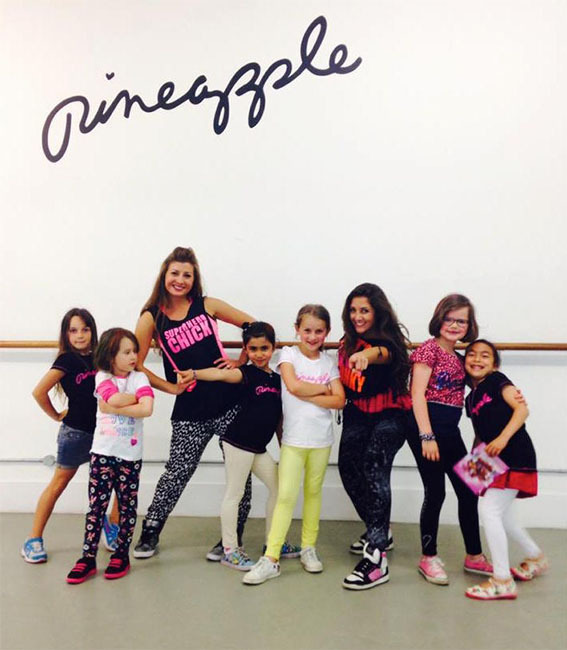 The Funky Chicks will run the show while the princesses join in the fun, games and competitions. 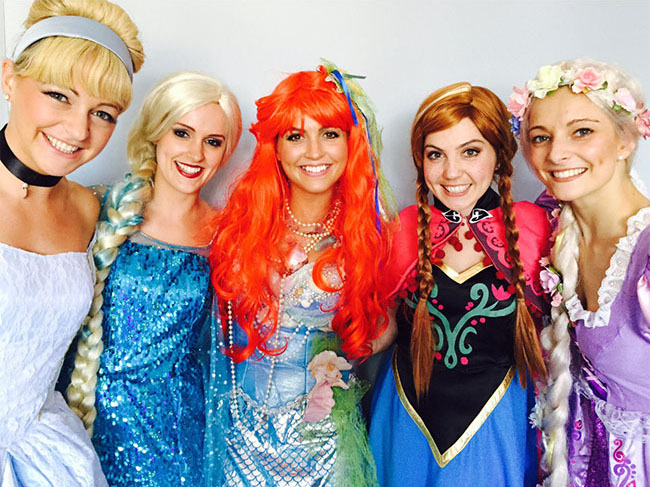 They can also face paint and even sing to make your day extra magical! 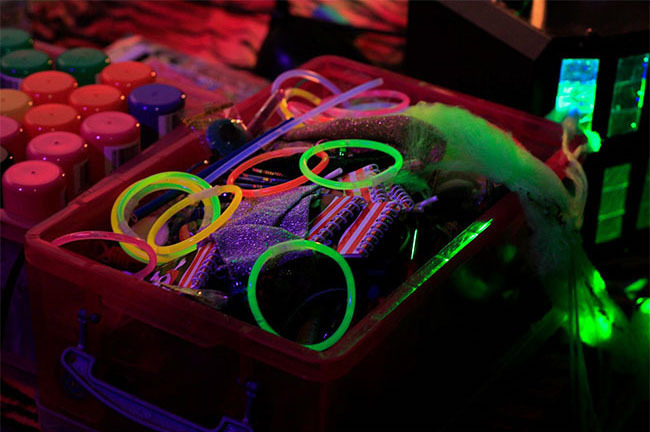 The neon theme works brilliantly for slightly older children and young teens. Come dressed in your loudest florescent outfits and party to the latest tracks in the disco and UV lights. 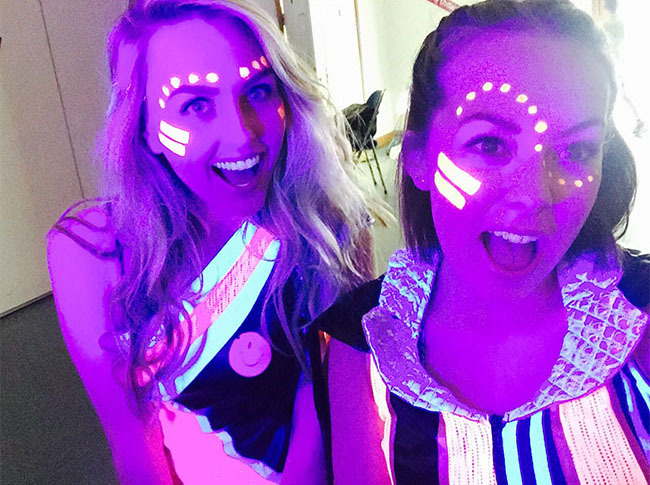 Along with other prizes you will win loads of glow sticks and can even have cool neon designs painted on your faces by the Chicks! Calling all PINK LADIES and T BIRDS…this is a great theme for anyone who loves GREASE and partying like its the 50’s! 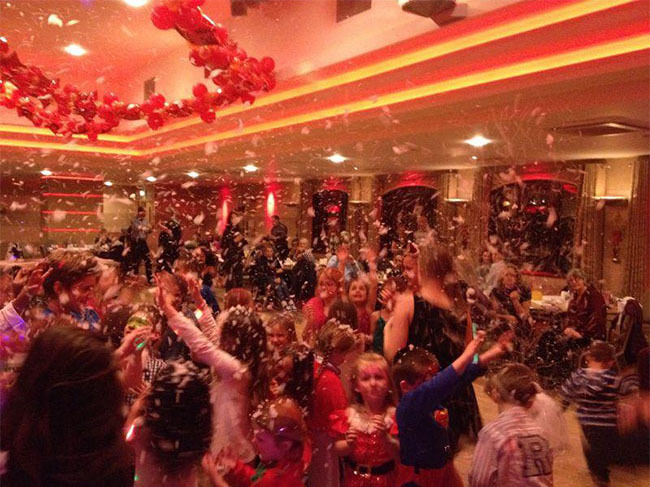 It works brilliantly for slightly older children, year 6 leaving parties and young teens! Dress as Vintage Chicks and Teddy Boys and party like it’s your Prom Night! 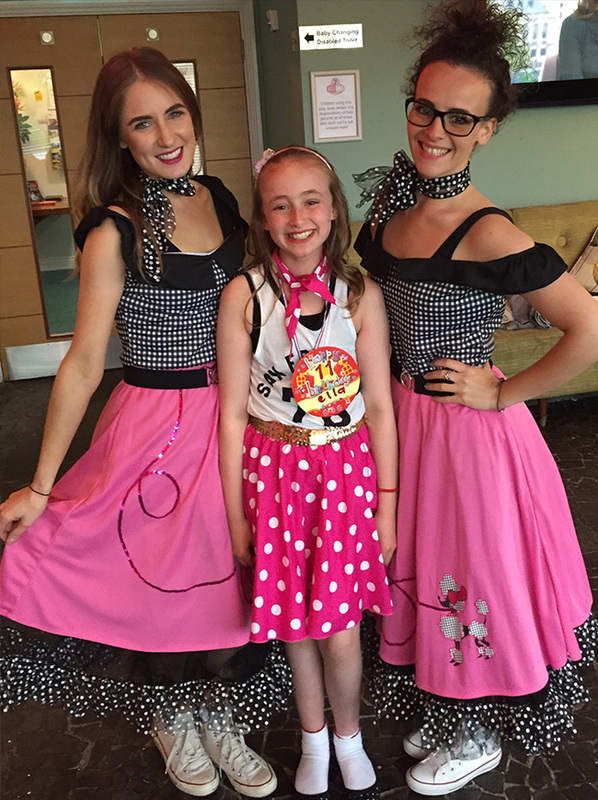 Join in with games, competitions and quirky dance routines to songs like the ‘Hand Jive’ and ‘Grease MegaMix’. Lets Rock ‘N’ Roll! 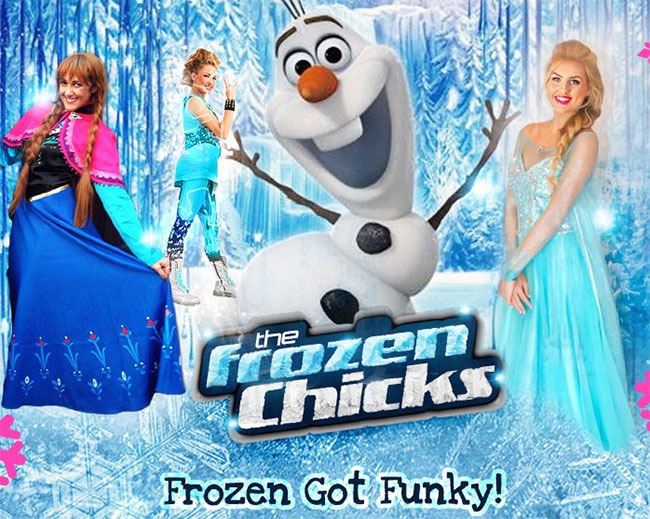 The Funky Chicks transform themselves into The Frozen Chicks and The Frozen Princesses! 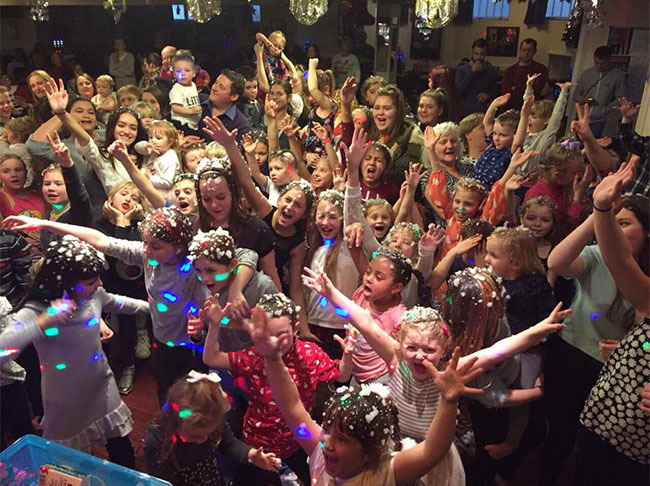 Mixing the fun and energy of a Funky Chicks Dancing Disco with the magic of Frozen! The party experience is magical, unforgettable and completely enchanting. 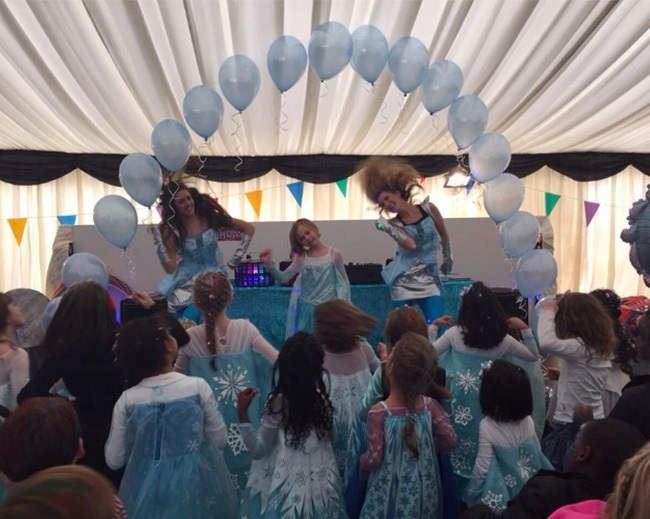 The Frozen Chicks keep the party rocking whilst The Frozen Princesses chat to the children, dance with them, pose for photos and do fabulous face painting! If you love dancing along to your favourite music videos this is the perfect package for you. Learn the moves to your favourite song and perform it with your friends at the end. Combine this with a Dancing Disco for extra fun! The Perfect Girly Party! Get pampered then party with your friends! Or invite more friends to join the fun! 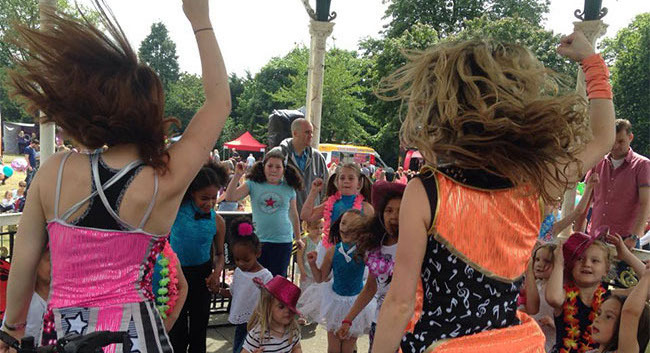 The Funky Chicks are brilliant at working crowds of different sizes and all ages at festivals, fairs, family fun days and any big event! The Chicks literally bring the party and make sure everyone is having fun and rocking out in style! Halloween is one of our FAVOURITE themes! 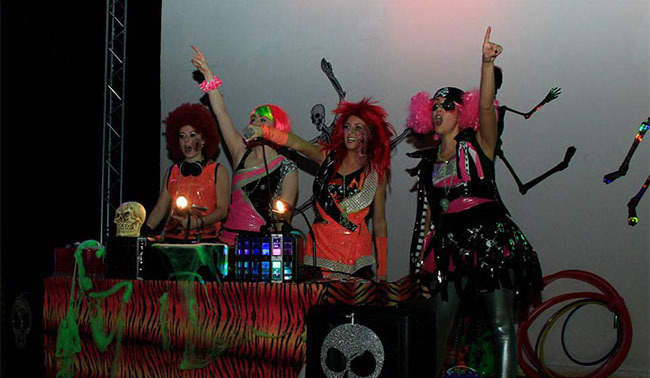 We love becoming the SCARY CHICKS and transforming our routines and games into freaky, funky fun! 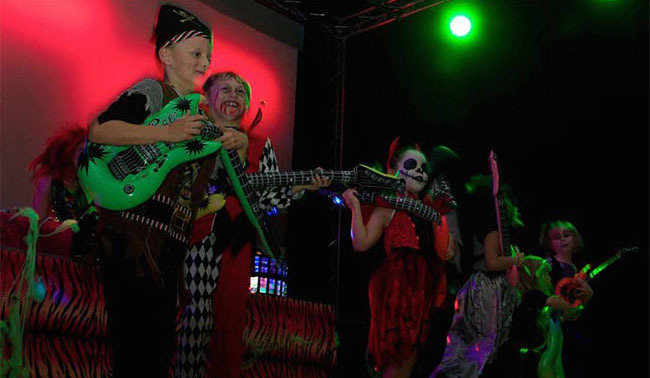 The kids love dressing up in crazy costumes, having their faces painted and going wild to our spooky tunes! Tis the season to be FUNKY! What better way to celebrate Santa Clause coming to town than partying with the CHICKS! Get funky, dance and sing along to your favourite Christmas tracks and go crazy to our snow blizzard finale.